Yesterday I was talking to Chris. "I have to get up early tomorrow," I said. "When?" he asked. "7 am," he said. "Why do you have to get up that early?" he asked. "A guy's coming to replace the ceiling in my bathroom at 8 am," I said. "There's no way he's going to show up at 8," he said. "He showed up at 8:30 this morning," I said. Chris shook his head. "There's no way he'll show up at 8." So I'm a little grumpy right now, because Chris was right. I think I'll give him another 20 minutes, and then I'll go to the Liberty Elm for some breakfast and to play some music. 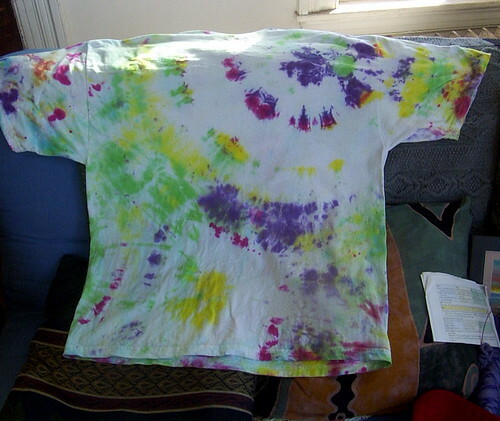 In more cheerful news, I went to a tie-dye party last night and dyed a few things. 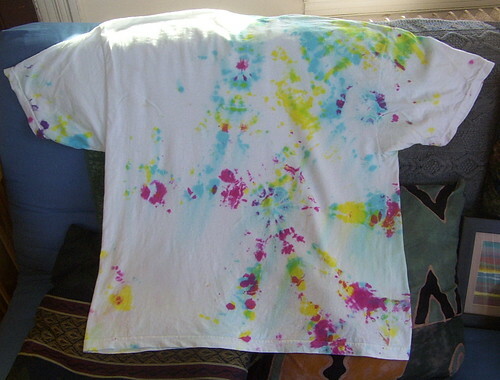 Here's shirt #1, front and back. 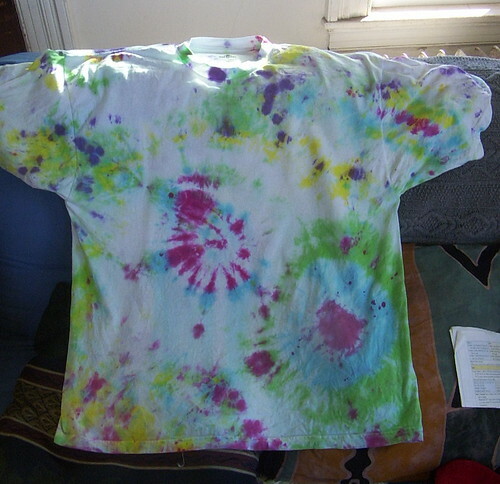 I didn't use enough dye, and the back is more interesting than the front, but hey. 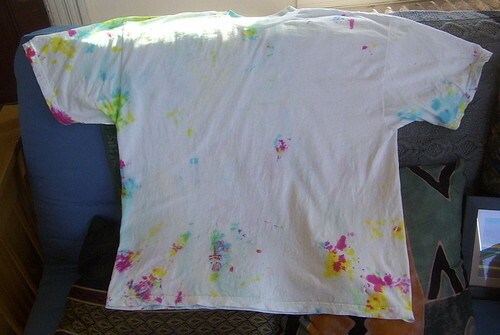 Here's shirt #2, which I think turned out a lot better. Finally, here's a towel I folded up and then put rubber bands on. 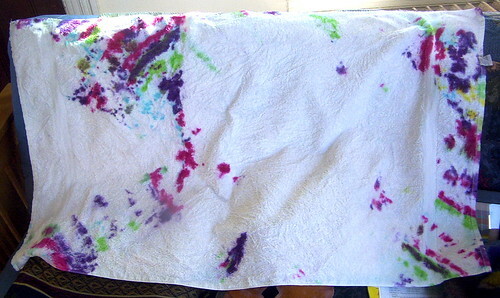 I should have used more ink, I think, to take into account the towel's absorbancy.